The Bottom Line: A hugely satisfying blend of ripped-from-the-headlines science fiction and suspense, The Happy Chip is one of the year’s best medical thrillers. Highly recommended. Human beings have used mood-altering drugs – ranging from roots to prescription drugs – for thousands of years. 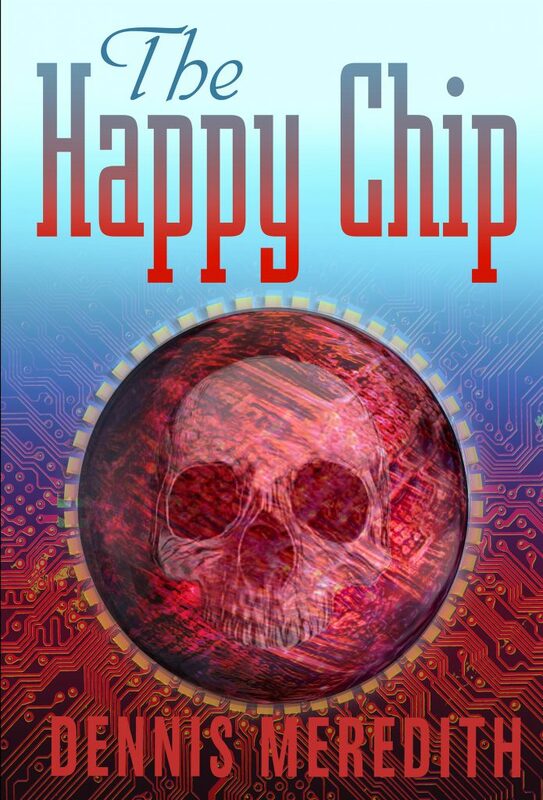 Author Dennis Meredith’s The Happy Chip takes the idea a step further by imagining a world in which an implanted nanochip measures and regulates the hormones that help determine happiness. Chippers, as they are called, don’t just feel better. They also appear to make better choices, leading to financial stability, improved relationships and better dietary choices. But soon after science writer Brad Davis heads to NeoHappy, Inc’s headquarters to write a biography of wealthy chip inventor Mary Fallon, he learns of a string of murders related to a new nanochip. Is NeoHappy – or even Fallon himself – using the chip to control humanity? (reports that DARPA is developing a similarly mood-altering nanochip have been rampant in recent years). Is the nightmare he portrays really all that far-fetched? The fact that such biotech seems within reach even now makes this expertly paced novel all the more urgent. In Brad, Meredith has found an exemplary vehicle for channeling our hopes, dreams and fears about biotech. Readers will be hooked form the get go, and by the time the last page is read, fans of Douglas E. Richards and A.G. Riddle may find a new favorite author.